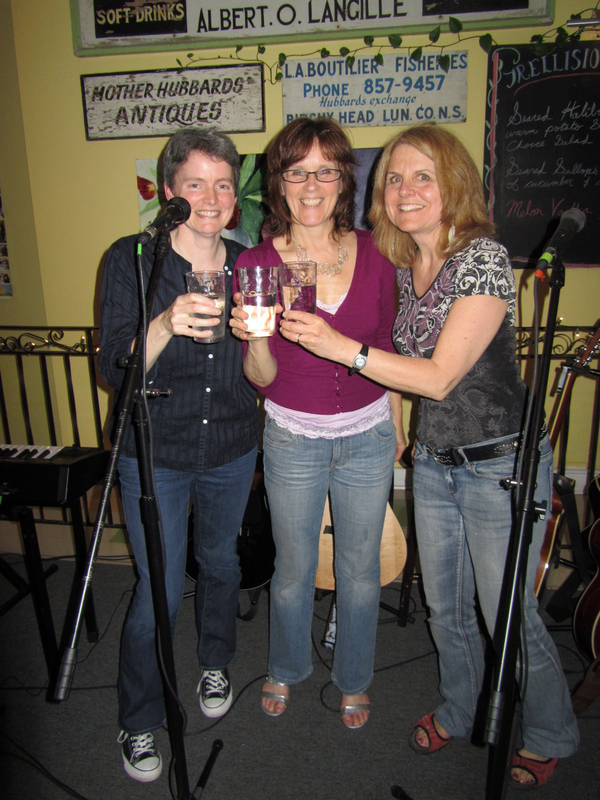 Canadian singer-songwriters, Joanna Butler, Melanie Donnelly and Mel Farrimond link arms and fly. Joanna travels with a guitar slung on her back. With vocals to "sweet" you off your feet, her songwriting skills shimmer. Melanie flexes her musical muscles and takes the strings across genres. This summer, she released her CD 'Where Ever Goes.' Mel travels with her upside-down guitar and a voice both strong and vulnerable. Her 'Through the Darkness' CD is now available. The trio is also set to release their first live album recorded at Codapop Studios and will bring it with them on their upcoming trip to perform in Scotland at the Fringe Festival in August.